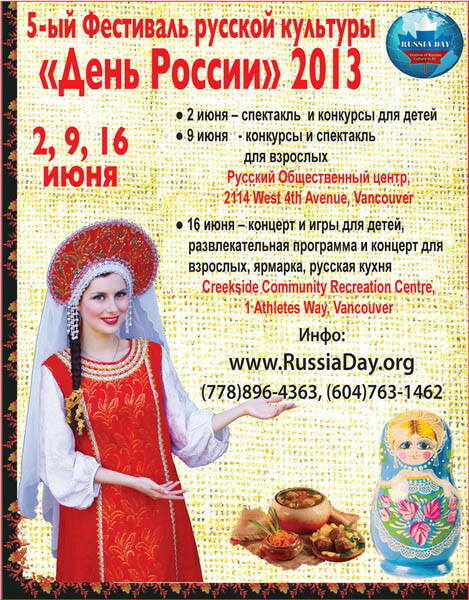 Are you coming to the Russia Day Festival on June 16? 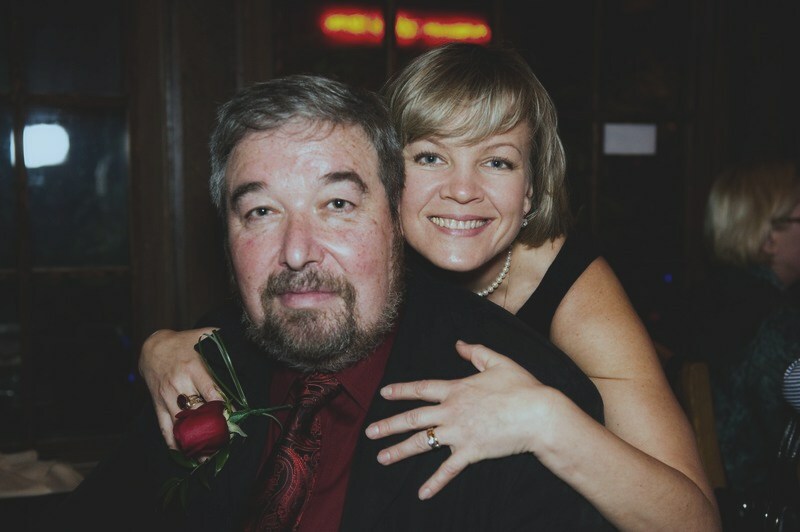 Only 1 day left! 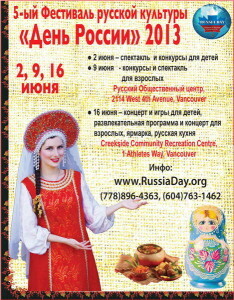 We will be there supporting Russian culture in Vancouver and announcing kids art contest winners! See you there!